The large screen-affordable engine monitor pilots have been anxiously waiting for. The EMS-D120 features a 7" diagonal, color LCD which boasts the highest resolution in its class. Six buttons arranged along the bottom of the screen serve as the interface to the softkey-driven menu system for easy access to in-flight functions and setting pilot preferences. Unlike many other similar systems, Dynon's EMS-D120 is easy to setup while simultaneously supporting a high degree of configurability to accommodate a variety of different engines and pilot preferences. The default boot-up or start-up screen example depicted above contains two separate pages on a split-screen format. During the initial setup, installers determine which gauges are indicated, their operational ranges, and whether an alarm is manifested along with its behavior. Info Items may be added to present the specific needs of the particular engine, aircraft or pilots preferences. 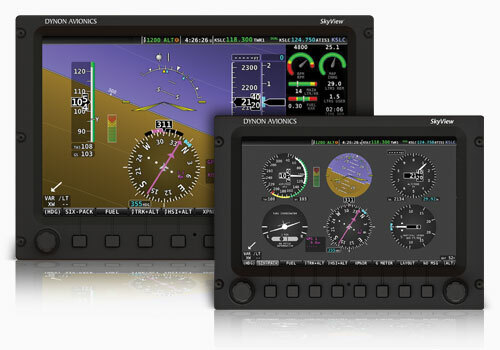 This degree of engine specific and pilot preferential customization when combined with a multi-page type of display and pilot configured checklists all add up to provide a unique presentation tailored to fit almost any need. 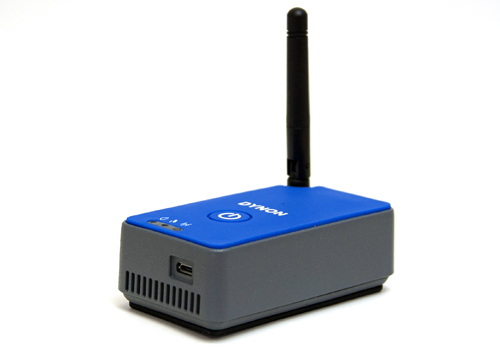 Dynon offers a variety of probes to accompany the EMS-D120 instrument with very attractive package pricing. The probes offered by Dynon are optimized to support a variety of engines including Lycoming, Continental, Rotax, Jabiru, and ULPower. Probes may also be purchased individually to monitor other engine types not specifically accommodated for by Dynon's probe packages. 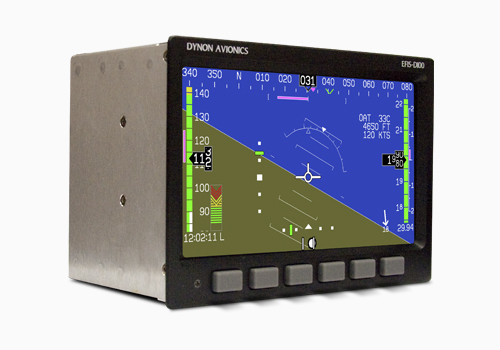 Airplanes with existing engine sensors may already be compatible with the Dynon EMS-D120 system. The EMS-D120 was designed with the intention of retrofitting some of the previously popular, non graphical systems like Grand Rapids EIS systems and Rocky Mountain Inc, Micro Monitors. While not 100% backward compatible, replacement costs are minimized to the extent possible. Please review the specifications and sensors charts on this website for additional detail. 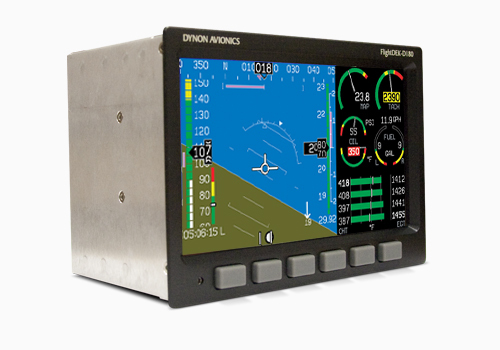 Dynon offers a variety of engine probes. These can be purchased individually, but are usually bundled in complete engine packages. Engine probe packages include the wiring harnesses and all probes required. The purchase of an engine package saves approximately 10% over buying its contents separately. The probes, harnesses, and sensors included in each of these kits are detailed in our price list and order form. Additionally, individual sensors and harnesses are available for purchase to accomodate customers that do not have one of the above engines. With 27 different inputs and 3 outputs possible, builders will quickly come to the realization that there is a fair amount of setup involved. To make this process as straight forward and easy as possible, Dynon has implemented a number of features to simplify this to the extent possible. Dedicated Input/Output Connections - All but 3 of the wiring inputs into the back of the instrument are dedicated to a particular measurement thereby simplifying the otherwise complicated task of wiring. Only three connection pins are general purpose in nature and require additional attention by installers during setup. Wiring Harnesses - Dynon offers pre-wired harnesses with the full complement of wires possible. Two harnesses are offered; one 25 pin cable for all thermocouple connections (EGT/CHT) and a 37pin cable for all remaining input/output connections. The thermocouple cable's 25 pin connector is directly compatible with GRT's EIS-4000 systems to simplify upgrading to Dynon's graphical system. 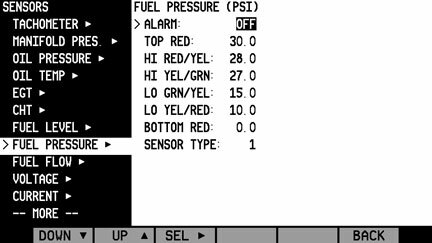 Easy setup menus - Builders begin by defining high level "Global" parameters like how many cylinders, gas tanks and Info Bars are required. The menu system then automatically configures the detailed setups accordingly to limit redundancy and avoid confusion. An Easy to Follow Installation Guide - Is freely available on our web site and continuously kept updated to assist builders every step of the way.